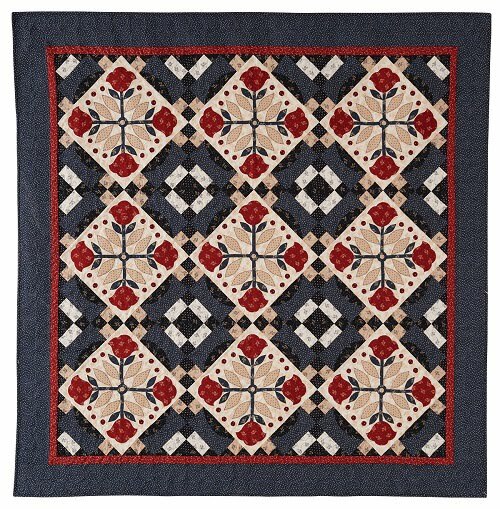 As American as Plymouth Cranberry Pie! Hello everyone! I know I've been quiet lately. I've been busy working on a secret project, and it was my birthday a week ago (I made it to 42 - Hooray! ), and we had the great American holiday of Thanksgiving on Thursday, to boot. 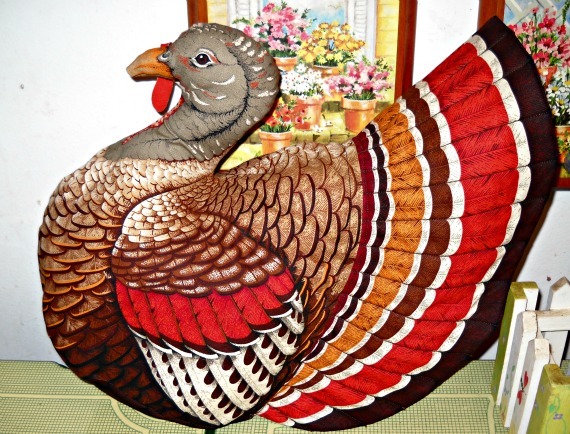 I finished stuffing my turkey. Isn't he cute? 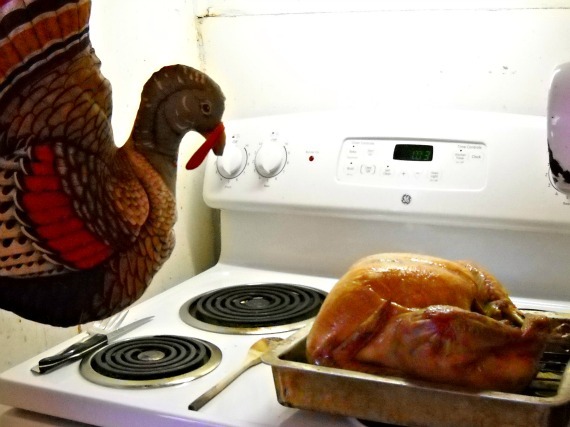 He was a little alarmed when he saw this. 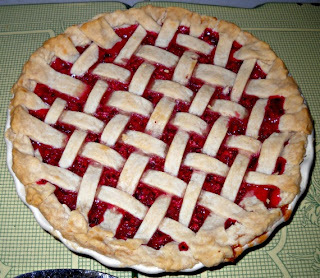 For dessert this year, I made a Plymouth Cranberry Pie. It was so good that I'm making it a new family tradition. 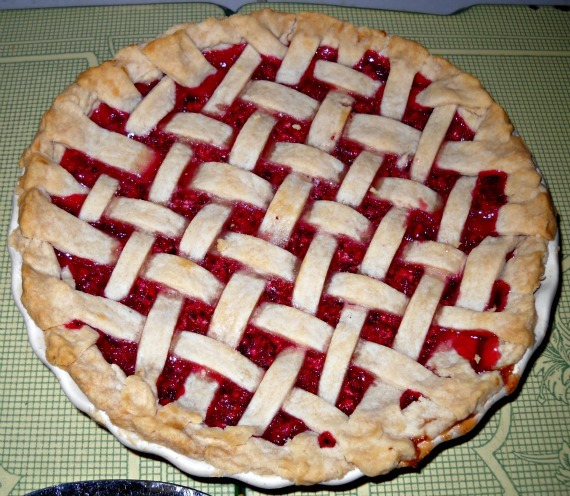 It was my first time making a lattice top on a pie. Usually I just sprinkle some crumbs on top. The weather was nice enough to eat outside. 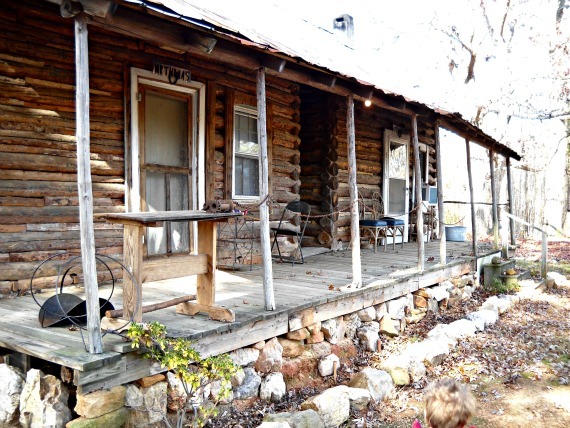 And the next day we spent some time down the road at our little log cabin. It doesn't get much more American than that! 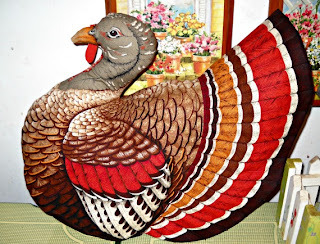 On Saturday we went out vintage shopping and hit it big with this great find. 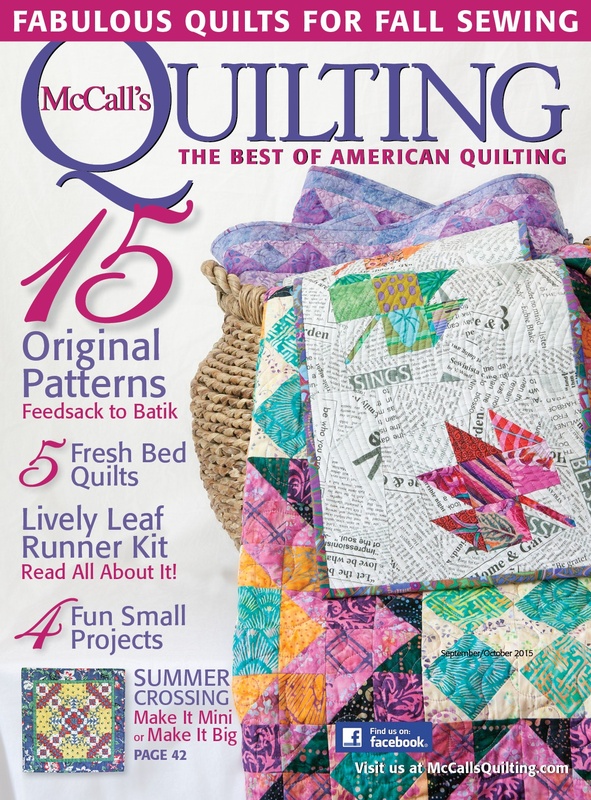 Hundreds of quilting magazines for only $7.50. This should keep me busy for a while. 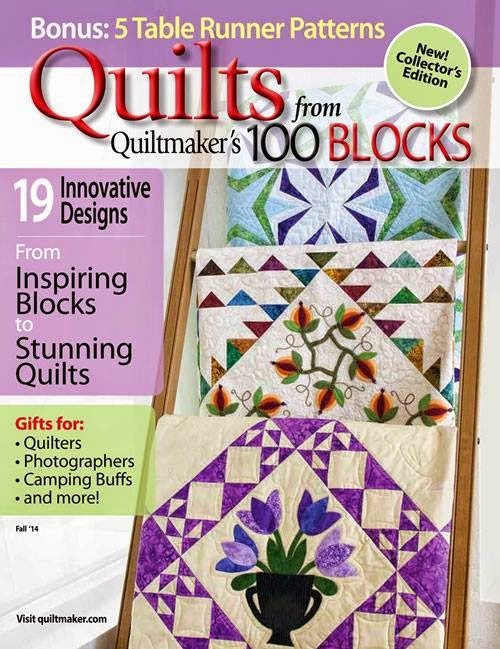 I also got a couple of Nancy J. Martin books about home decorating with quilts. 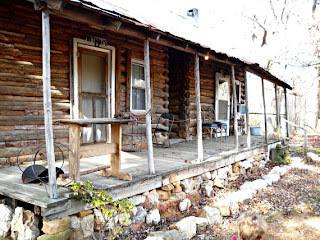 I've been doing some thinking about what direction I want this blog to go in the next year. 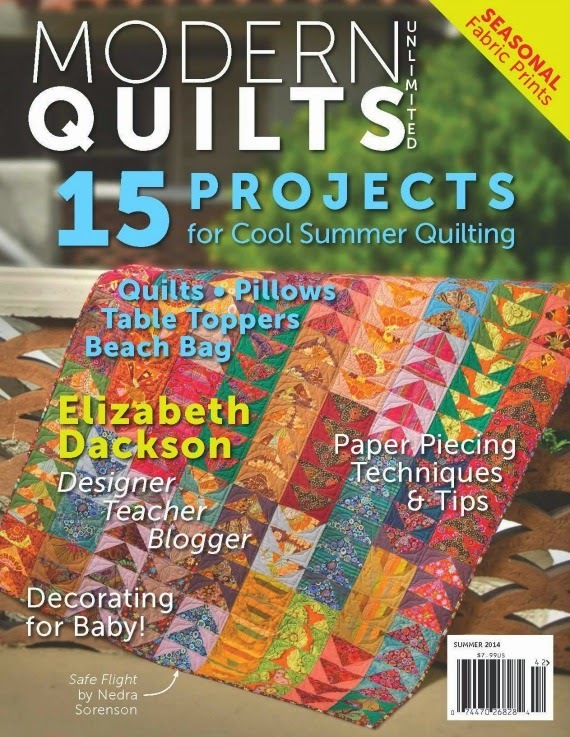 I'd like to offer more quilting tutorials and helpful information. 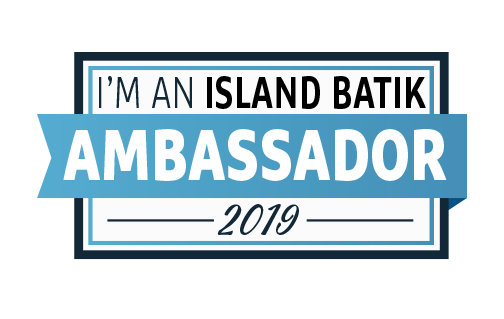 So, what do you want to learn more about? 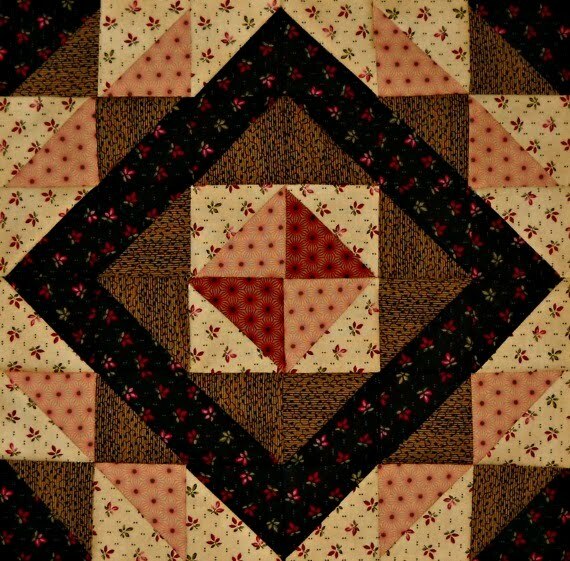 Do you want to see a tutorial on foundation piecing? 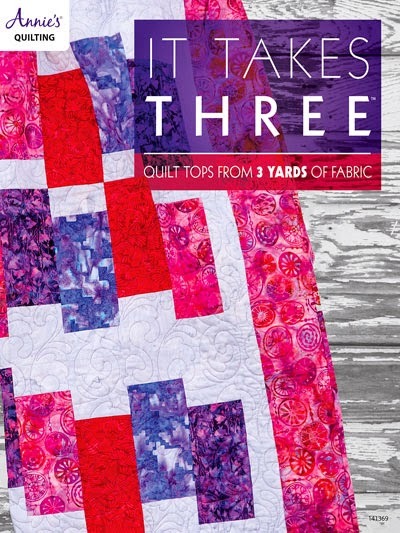 How to get that perfect 1/4" seam? Help with choosing colors? How to keep the cat off of the ironing board? 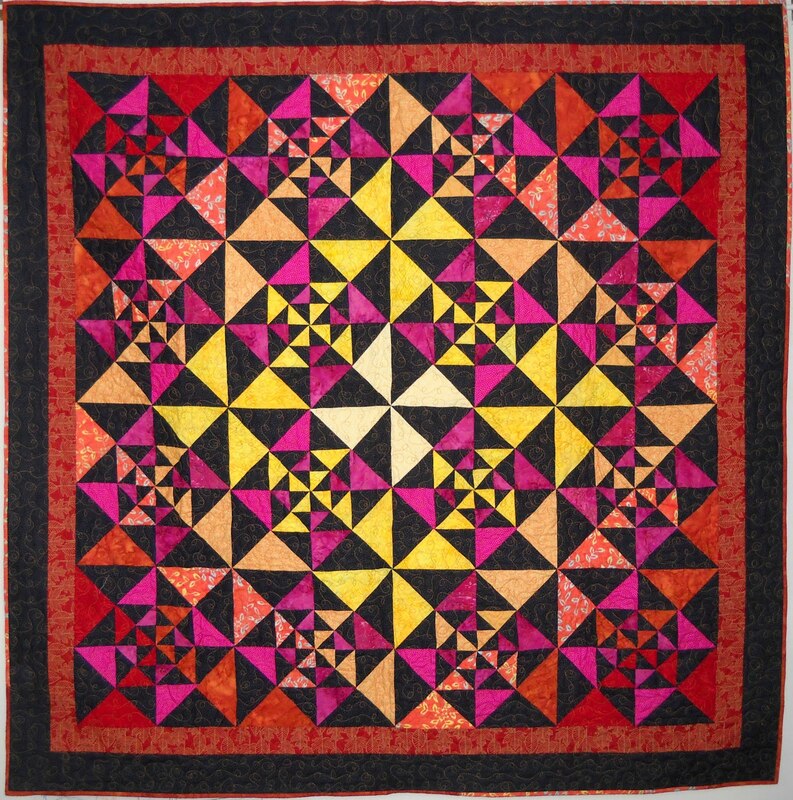 Send me your burning quilt related questions and I'll do my best to cover those topics in the coming year. Also, don't forget to visit the Curlicue Creations Shop and use coupon code TANGO when you check out for 10 percent off. This coupon is still good through the end of November. Until next time...send me those questions...and have a super day! Hello everyone! So glad you could stop by and visit again. The winner for the Quiltmaker's 100 Blocks, Volume 6 Blog Tour giveaway is Emily Callender of Clearfield, PA. She is expecting to receive a glamorous copy of the latest issue of 100 Blocks, right in her mailbox. Congratulations, Emily! This is my block, Tango. It's block #513. 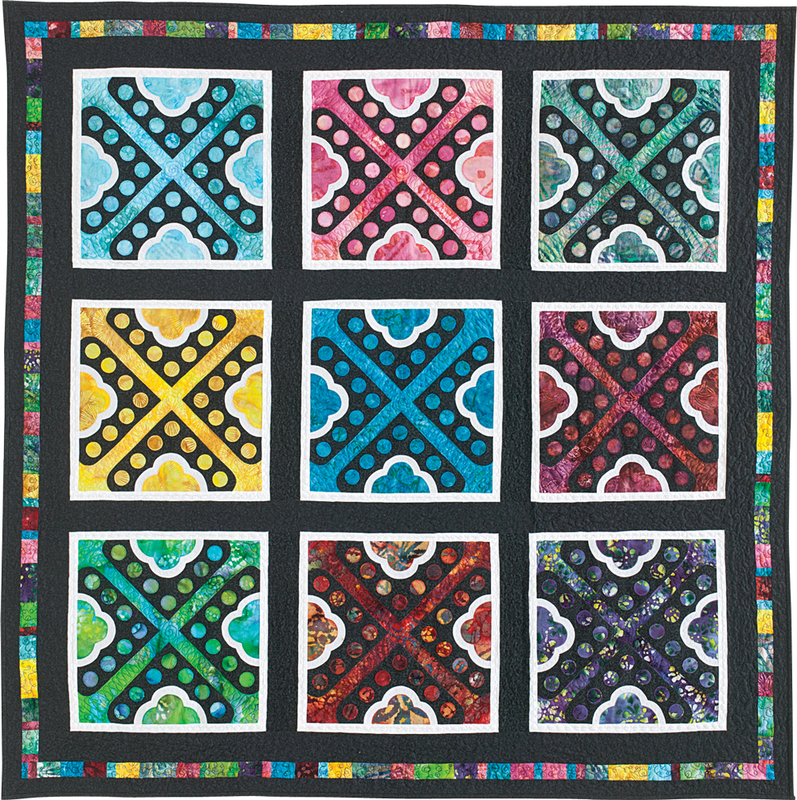 It's such a fun, playful block. 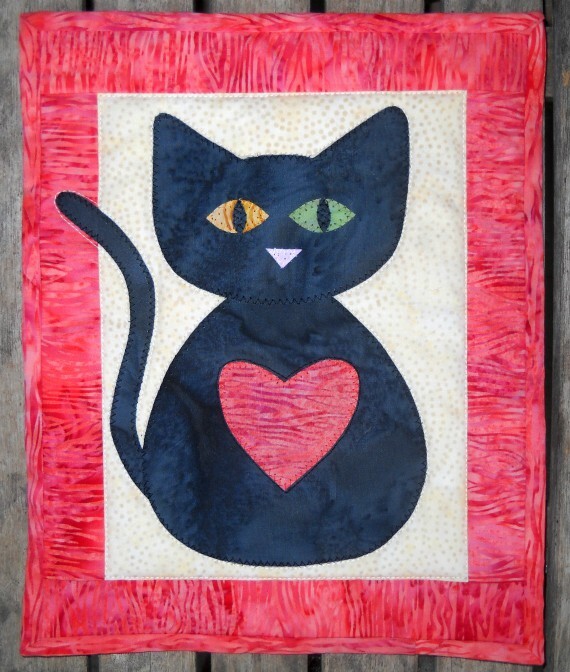 If any of you make some of these out there in blog-land, please send me pics. 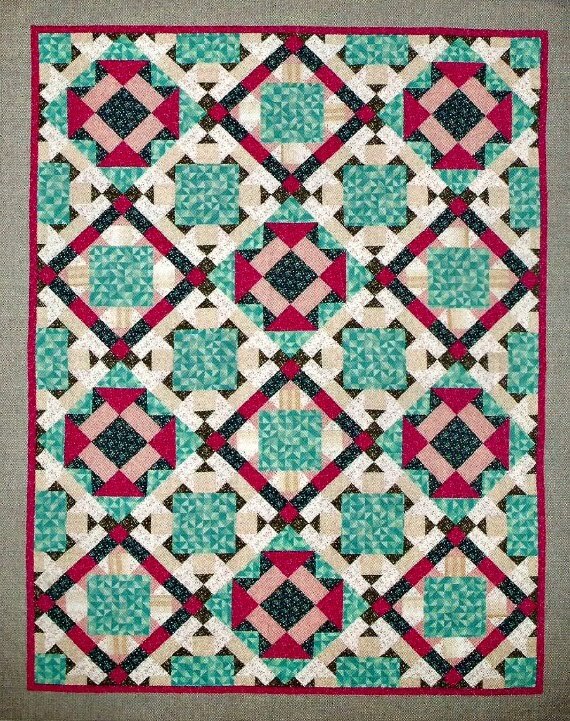 I would love to see your interpretations of my block, or how my block has been used in a quilt. 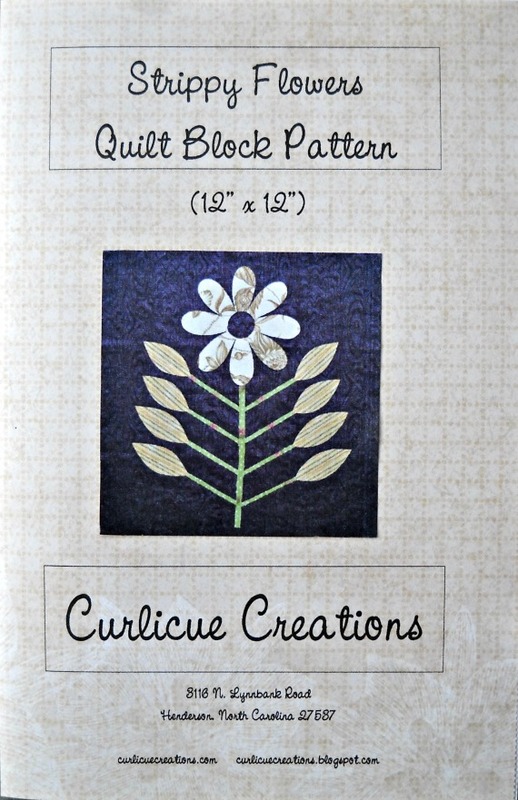 Emily is also going to receive a copy of my latest block pattern, The Strippy Flowers block. 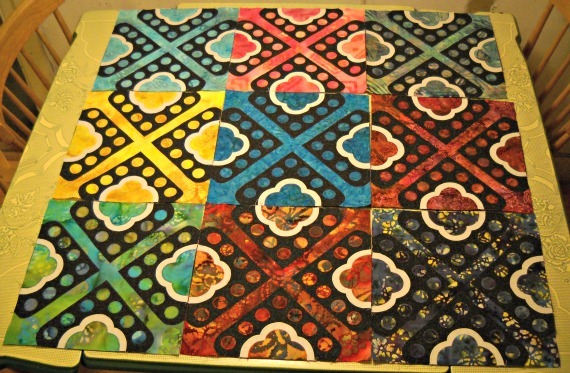 This block is also 12" finished. It is constructed using the easy and fun fusible applique method. For a complete tutorial on fusible applique, click on the tab at the top of this page. And, as I said, in the title of my post, everyone's a winner today. As a little giftie to everyone who reads my blog, I'm giving 10 percent off any purchase in the Curlicue Creations Shop through the end of November. Just visit the shop at curlicuecreations.com, and use coupon code TANGO when you check out. Hello! 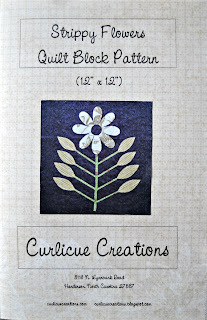 Welcome to the Curlicue Creations Blog, and my little segment of the Quiltmaker's 100 Blocks, Volume 6 Blog Tour. 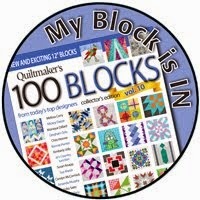 I'm so excited and honored to be included in yet another enchanting issue of 100 Blocks. This magazine series just keeps getting better and better. 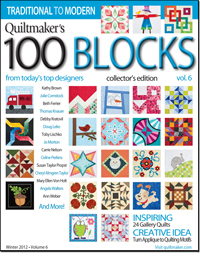 The blocks in this volume are just unbelievable! 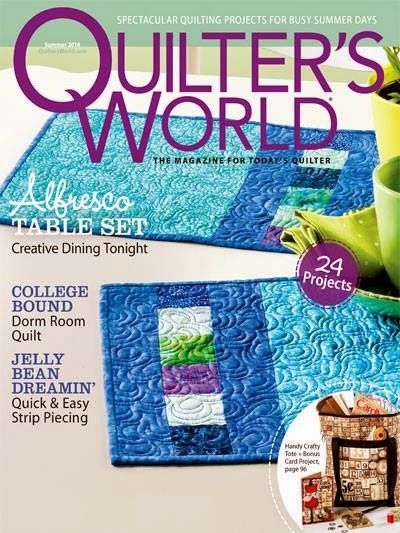 Here's your sneaky-peek at the cover. 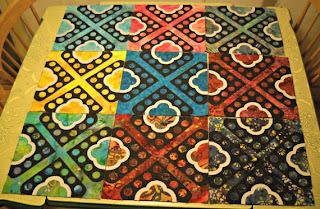 This is the block I made for the issue. 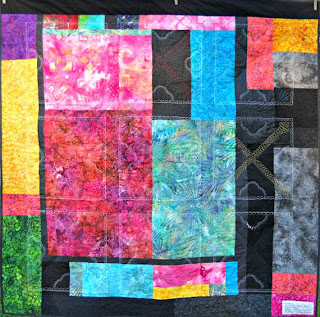 It's block #513, Tango. 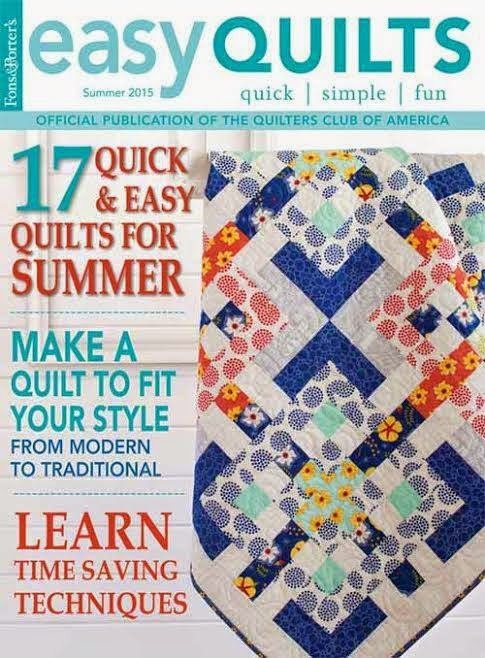 I also made a quilt using my block that appears on page 15 of the magazine. 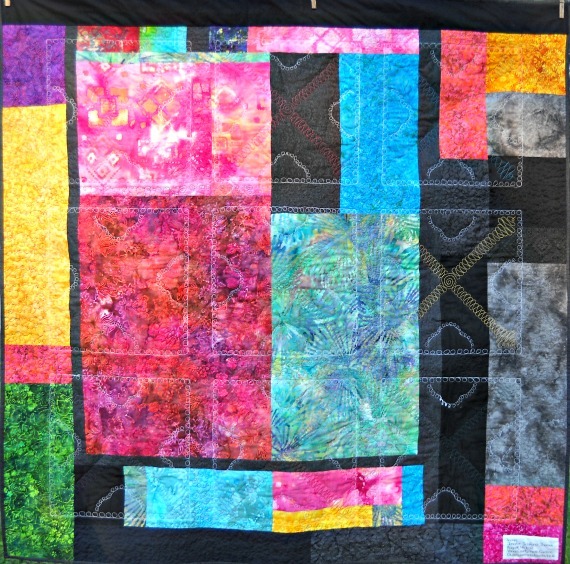 I thought for the tour today, I would take you on a photo journey through the process of making the quilt. 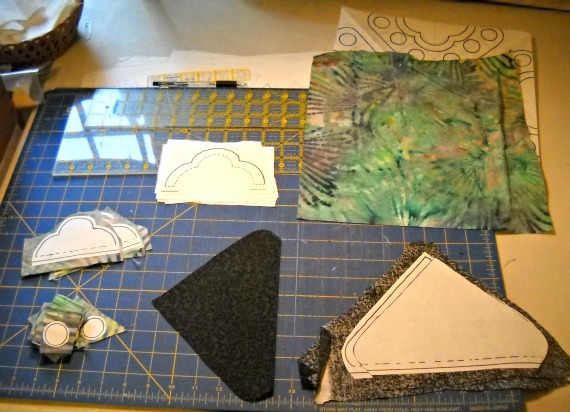 Here's my desk in my design studio, covered with pieces of a Tango block. 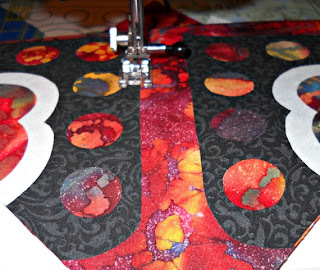 The fusible web has been applied and I am in the process of cutting out each piece. 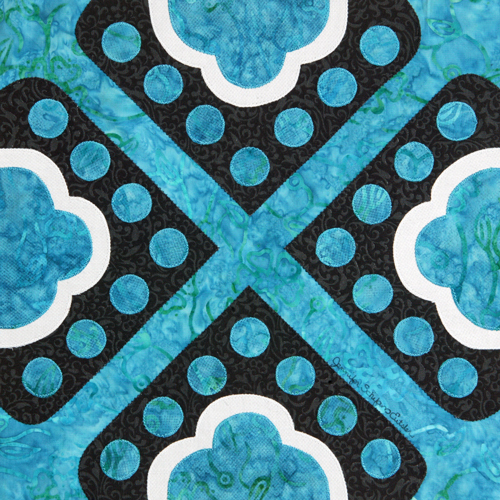 You can see my original pattern sticking out from under my background fabric in the upper right hand corner. Here is one of the Tango blocks, all fused together. 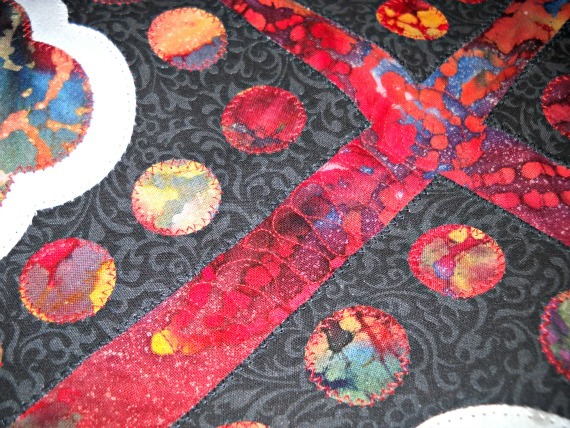 After fusing, I carefully zig-zag around the edge of each piece with a matching thread color. 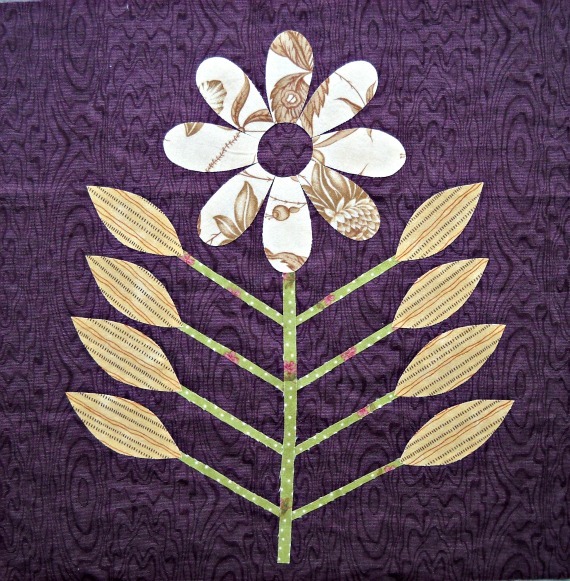 I use the needle down feature and set my stitch width to 2, length 1.5. I also set my machine for the slowest speed, and with the needle down, lift the presser foot to pivot often. 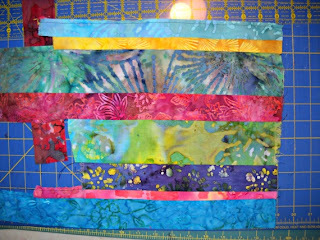 Here are the nine blocks I used in my quilt. I laid them out on my kitchen table and rearranged them until I was happy with the effect. 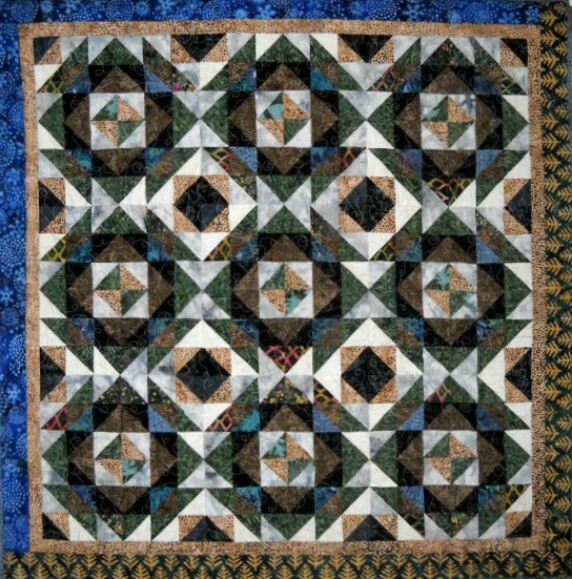 You can see here how a secondary pattern emerges when the blocks are placed together in a quilt. I sewed strips of batiks together to make a striped border for my quilt. Here's a close up shot of some of the quilting. 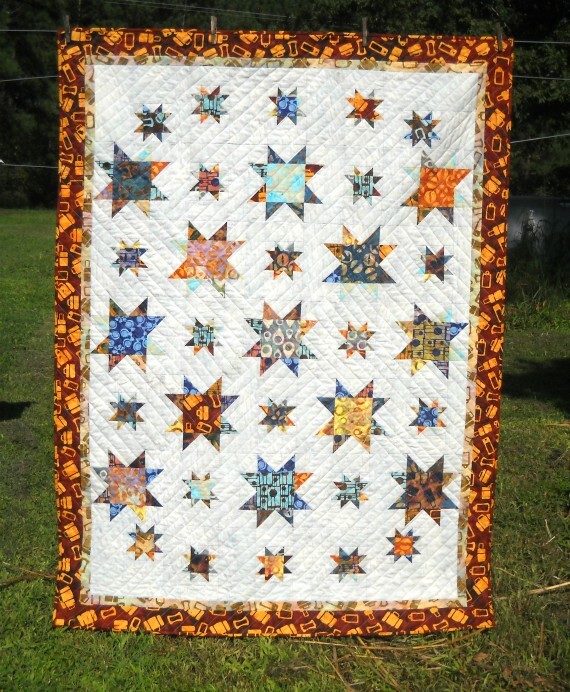 I am free-motion quilting on my domestic machine. I'm starting to get a little better at this. 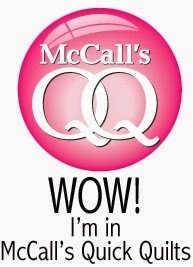 In the middle of quilting I had a presser foot emergency! My quilting foot actually snapped in two. I nearly panicked, as I live in a rural area. 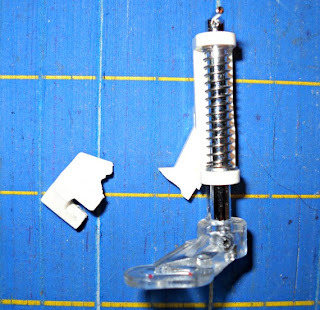 I was lucky to find a replacement foot at the local sewing machine repair shop. Whew! 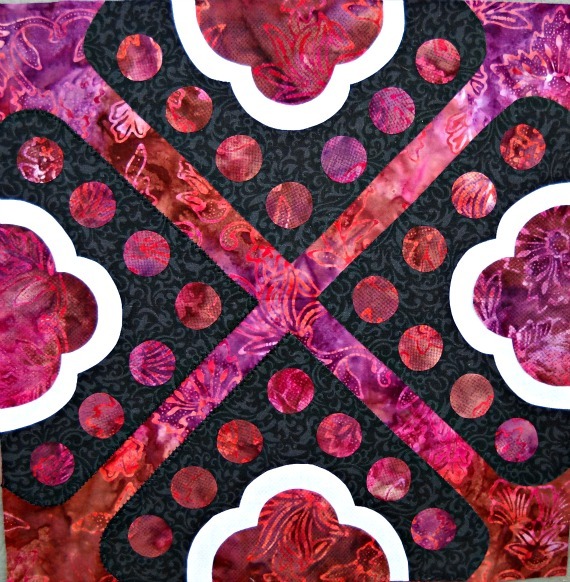 For the Tango quilt, I sewed my first ever pieced backing. 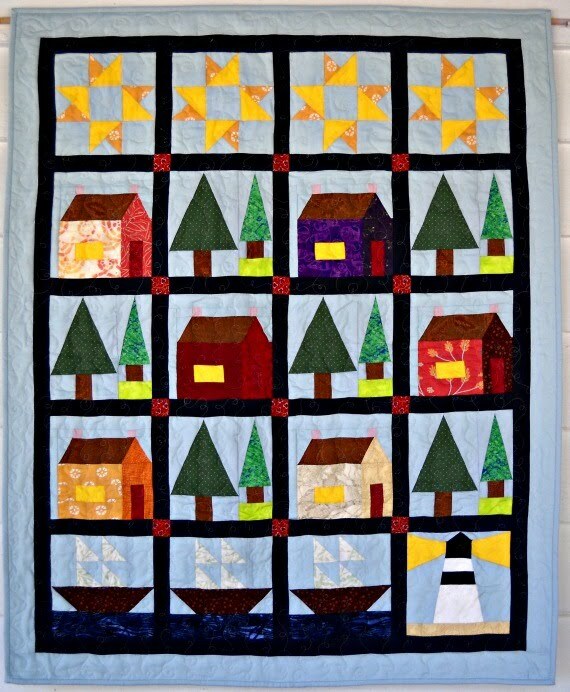 I used leftover fabrics from the top and also a few coordinating fabrics and sewed them together in a fun and free style log-cabin type of design. I like the back almost as much as the front. 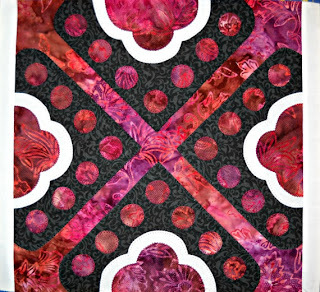 And here's the Tango quilt. I'm lovin' it! I hope you like it, too. Now for the giveaway! Please leave a comment about...dancing. 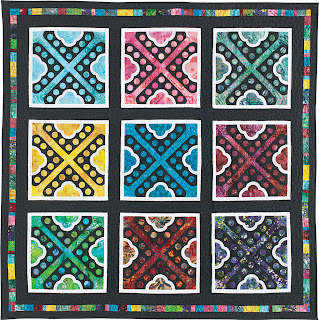 I don't dance myself, so my quilt blocks do. That's why I made the Tango block. Do you dance? If so, what is your favorite dance? If not, what is your "dream" dance? Would you like to Salsa, Two-Step, or maybe even Tango? 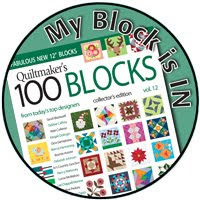 The randomly chosen winner will receive both a copy of Quiltmaker's 100 Blocks, Volume 6, and also a copy of my latest block pattern, The Strippy Flowers Quilt Block Pattern. I've really been enjoying visiting all the designers on the blog tour this week. 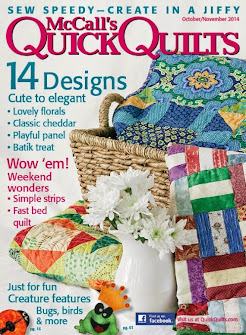 Be sure to check them all out at Quiltmaker's Blog, Quilty Pleasures. And please also visit my shop for more of my designs, Curlicue Creations. Thanks so much for stopping by! Have a super day & Get Creative!